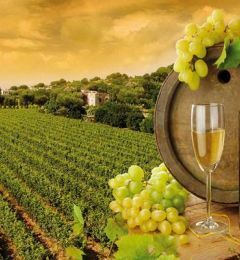 For the planting of any vineyard, in addition to the aspects of agronomic nature, it is necessary to carry out a deep and accurate economic analysis. Detailed considerations on the methodology, techniques and materials which can be referred to during the implementation of the system (poles, wire, tensioners, stakes, etc.) which are necessary to ensure a safe outcome of the entrepreneur. 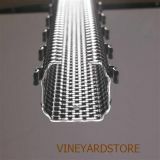 The Vineyardstore has offered to analyze the entire cycle of preparation, planting and maintenance of a vineyard, and to show all the materials used in order to become a direct manufacturer and supplier of these products. For each of them, it has been therefore necessary to study the possible geometry, the material and the implementation cycle so that the different products can meet the needs of functionality, practicality, durability and low costs that viticulture requires.